Since the last tanong is closed; which ocean is your favorite? What is your paborito ocean creature? Does it ever creep you out when you're swimming in water and seaweed rubs up against your leg? What's your paborito thing to do at the beach? Usally barricudas don't bother people but once in a while a swimmer or a diver comes acrossed an attack.They are attracted to shiny objects like rings and earrings.Never go in the water when there are a lot of spear isda around.In my opinion i'd rather get bitten sa pamamagitan ng a small pating isn't that weird? a poll ay idinagdag: Batfish or Minnow? a poll ay idinagdag: Since the last tanong is closed; which ocean is your favorite? a poll ay idinagdag: Krill or Shrimp? a poll ay idinagdag: Manatee or Walrus? 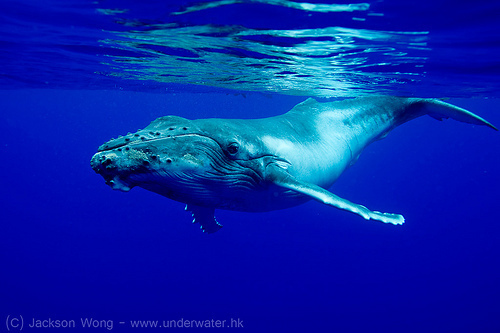 Fill in the blank:The humpback whales' fin can reach the......% of it's body length.